I’m from Finland, and that’s why I have something exciting to offer you. And what is it? Well, the answer is European Challenge Cup (ECC), which is the 3rd most important tournament of the year for me: it’s the most significant right after Nationals and Worlds. The reason why everyone (even American players) should be interested in ECC is that it’s the first tournament to be played with the new set, Next Destinies, released. Last year Call of Legends was released just before ECC, but it didn’t have as big of an impact on the format as Next Destinies will have. In this article, I’ll tell you what ECC is all about, why I’m going there, what kinds of decks I’ve been preparing and what decks I’m expecting to see there. This isn’t a useless read for anyone because European metagame is very close to the U.S. metagame and the metagame and results in ECC will have a huge impact on the U.S. States’ metagame. 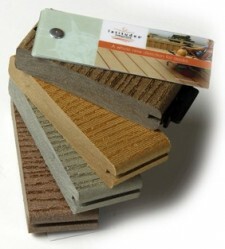 I expect to see the same decks in ECC as some of you will face in the U.S. States. I’ve been also brainstorming and playtesting a lot with some possible Mewtwo EX counters and I will discuss them in the end of this article. What’s Mewtwo EX going to do? Pokemon ParadijsECC is a dream come true for many European players. European players have always wanted to have their own “European World Championships” and before ECC and Prague Cup were first held, Benelux Cup was the closest one to that. ECC is a descendant of Benelux Cup and that’s why it’s located in the Netherlands. Benelux Cup gathered a lot of players from outside the Benelux area, so it was only natural to widen the tournament to cover the whole Europe. Last year ECC had 275 participants from 15 European Countries. It’s almost the same size as the largest States and Regionals in the U.S.
ECC is a Premiere tournament, which has the K and CP Value of States/Regionals and it’s very important to every European player that aims for a ranking invite. If I don’t win Nationals, I probably won’t be going to Worlds, but CPs are probably going to be more important in the upcoming years when Worlds aren’t held in Hawaii. As I mentioned earlier, it’s the 3rd most important tournament of the year for me. There is also the Prague Cup, which can be considered to be the other “European Championships,” but there are two big reasons why I think ECC is the best European tournament of the year. Hapé, the main organizer of ECC, has always held great tournaments. Although last year’s ECC was the first tournament in the Netherlands for me, it was still a great experience. I have seen both good and bad sides of tournament organizing in my country’s Pokémon TCG tournaments and I’ve never heard of a bad word being said about Dutch tournaments from my Dutch friend. I remember one National Championship in Finland where the tournament was ran so slowly by the TO that they almost ran out of time in the venue. To prevent us from running out of time, the TO decided to announce before we sat on the top tables that the Top Cut matches were 50 minutes each even though they should’ve been 60 minutes. As I played my Top 4 game of Nationals, the tournament organizer said we only had 45 minutes instead of 50 minutes, and this was when we had already played 20 minutes of our match. Well, I was running Zap-Turn-Dos (idea similar to ZPTS for those who don’t know what Zap-Turn-Dos is) so the change was only in my favor. I’m pretty sure that I won the Top 4 game just because the decision to cut time was made. I can see this year’s ECC to be as great a tournament from the organizing point of view as last year’s tournament and I recommend everyone who is able to attend the tournament to participate. I know you won’t be disappointed in the tournament. In the ECC players are privileged to play with a whole new format that no one has tested yet. I – as a deck builder – absolutely love this. Also, in the ECC format, there are 2 more sets available than in the Prague Cup format where the format and card pool are still pretty “young” and small. Since the format and card pool are young I think the format isn’t as versatile as it will be 2 sets later. Sometimes younger formats are also less skill-oriented because not everyone has been able to get the list of their decks correct at that point of the season. I also feel that more players are interested in coming to the tournament because the format is fresh and they don’t have to be playing against the same decks they have played against before. The new decks the new format has to offer are the reason why I’m so interested in ECC, even though last season’s metagame was pretty stale and there were some very original decks that rose to publicity from the ECC. 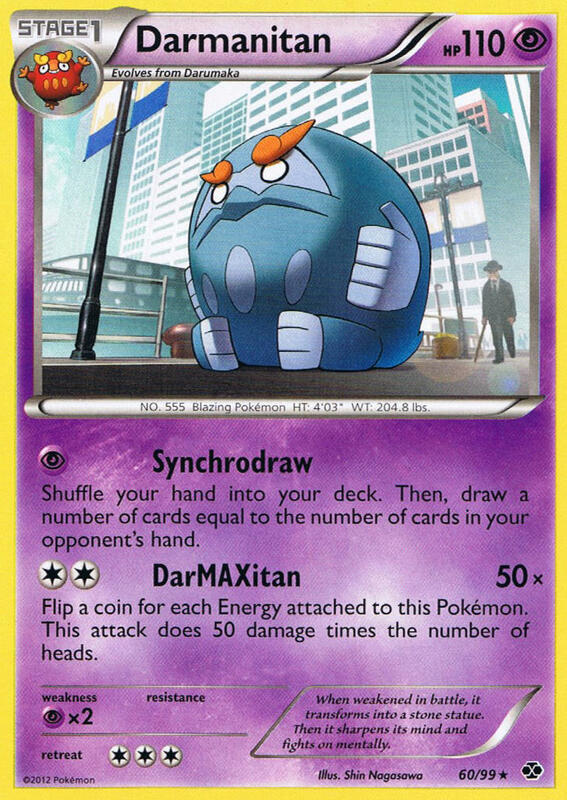 First, there was Magnezone Prime/Regirock LA, which went 8-0 in the Swiss rounds of last year’s ECC. It was a completely new deck and idea and I think you’re all familiar with it. It lost in the Top 32, but nonetheless it became a widely successful and popular deck in the U.S. metagame as well and was played throughout the season. Pokemon ParadijsSecond, there was LostVileGar (Vileplume UD, Gengar Prime, Gengar SF), which went all the way to the finals, losing to a Luxchomp. The build of this deck was a bit undeveloped at the tournament, but it became very successful all around the world. When I lost to the LostVileGar in the tournament with my Luxchomp, I was pretty astonished. I tweaked this deck after the ECC and won 3 States + our Nationals with it and would certainly have played it at Worlds, had the rules and format not gone upside-down thanks to Black & White. That’s why I think it was pretty surprising that it never caught that much attention or success in the U.S. In my opinion it was the most skill-based deck of last season. Well, how has my success been in the ECC? Last year when I played the very first time in the ECC, I managed to achieve the Top 16 placement with my Luxchomp, which I was very proud of. I lost the Top 16 match to the previously mentioned LostVileGar due to a Fainting Spell flip in a sudden death thanks to a dead draw for 6 consecutive turns. I usually find myself running out of luck in all the big tournaments and I hope this year’s ECC, Nationals and Worlds will be an exception – my ambitious goal is to win all of those tournaments this year. However, the first step is to win ECC and for that I probably need only 2 things: Mewtwo EXs and a great deck. ufpiWhen you’re preparing for a big tournament, there is nothing more important than deck choice. When you’ve chosen the deck you want to play, you’re completely bound to it and last minute changes won’t usually do you any good. 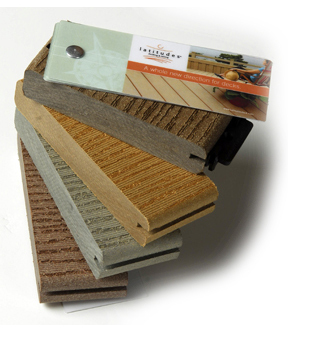 The earlier you’re prepared to play a deck, the more comfortable you feel going to the tournament with it. Here, I’ll explain how the evolution process of my deck went – how my deck evolved from a very basic list idea into a teched and more complex version. I think this shows just how much decks do develop thanks to simple testing. I think everyone can learn something from the evolution process of this tournament deck of mine, and these methods can be applied to any tournament deck. The deck that I’m pretty confident with at the moment is Celebi Prime/Mewtwo EX. I think you all have read the Eye on Japan article I wrote on SixPrizes and on my blog so I don’t bother you with the Celebi Prime/Mewtwo EX list that article had. Here’s the list where the evolution of my tournament deck began. When I first built this deck, I fell in love with it right away. It’s pure speed, strength and deadliness. First, I played with this against decks from the previous format. After 20 test games, it hadn’t given me a single bad opening hand or a loss. There has never been a deck with opening hands as good as this (excluding MetaNite). Since I hate inconsistency, I knew immediately that this would be a very strong choice for my ECC deck. Pokemon ParadijsAs you can see, the strategy is pretty straightforward. You want to open with Celebi Prime and a Switch/Skyarrow Bridge in your hand. Most of the time, you are able to get a T1 60 damage thanks to Celebi’s Power, and if you go first, the pressure you put on your opponent is crushing. 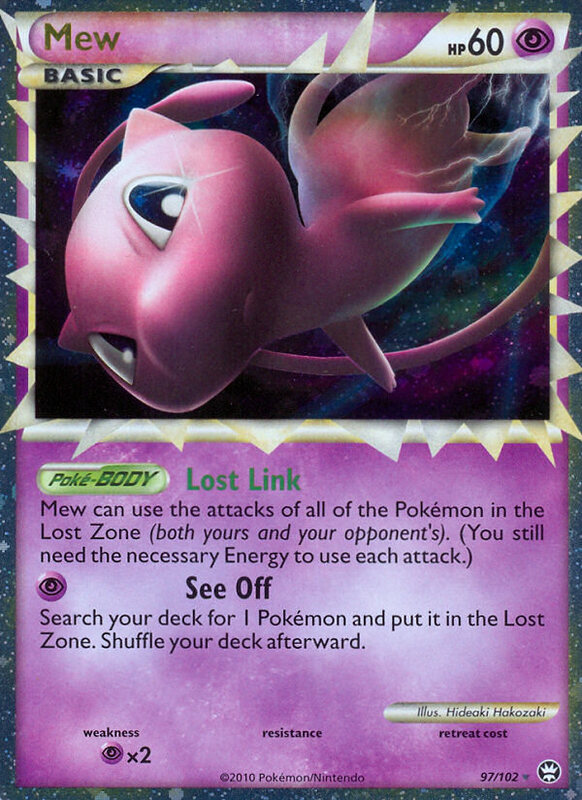 Most decks in the current format aren’t able to recover from such a start because Mewtwo EX’s power grows with time. Most fast decks have late game problems because their amount of damage is significant in early game but it stays the same in late game. At first, this deck seemed just what I wanted to play, but after I started testing against other Mewtwo EX variants, I had to face the sad truth – Mewtwo EX is its own worst enemy. If I were able to hit for 60 T1, any deck playing Mewtwo EX would just return an OHKO with a DCE and Mewtwo EX since I would already have 3 energies attached to my Mewtwo EX. I took one prize with my T1 Mewtwo and my opponent took two. It’s my second turn and my opponent has already taken 2 prizes even though they have only played for one turn. However, I could counter OHKO their Mewtwo EX with my Mewtwo EX and then I’m once again in the lead. The sad fact is that they will most likely just answer with a counter OHKO with their Mewtwo EX once again. Then I’m once again one prize behind and my opponent has only 2 prizes remaining. My only attacker is Mewtwo EX so if my opponent is able to counter OHKO my 3rd Mewtwo EX, I’ve lost the game. Having faced this situation too many times during my test games, I had to take action and find a secondary non-EX attacker for my deck while still maintaining the speed of the deck. I was able to keep the straightforwardness of the deck even though I put Tornadus in the deck. I decided to remove the Copycats because I wasn’t mulliganing that often anymore and I also added 1 N to the deck because now that I have non-EX and EX attackers, I can control my opponent’s prize amount easier than with the Basic version. While testing this deck, I bumped into many more problems than with the first version and it was no surprise for me. There were many, many problems, three of which I would like to discuss more since this deck seems to be getting a bit of hype on the Internet. Pokemon ParadijsAs you may already know, I playtest a lot with my good friend, the 2006 World Champion, Miska Saari. He is all about Six Corners because he loves playing with Basic decks that are versatile. I’m pretty sure that he is the number one Six Corners player in the world at the moment because he has been testing Six Corners for hundreds of hours and has done very well in each tournament with it. I’ve done a lot of testing against different variants of Six Corners and Cobalion NVI/Electrode Prime/Kyurem NVI, and surprisingly Celebi/Tornadus/Mewtwo EX variant isn’t really able to do anything against Six Corners. Tornadus is completely useless in the match-up because you can’t attack the Legendary Dragons since they will just OHKO you with Outrage after one Hurricane. This deck should be able to take quick prizes against your opponent and against big Basic decks, it just doesn’t happen. Of course you can start attacking with Mewtwo EX from the very beginning, but as long as the Six Corners player is prepared for a Mewtwo EX with their own Mewtwo EX and DCE, the scenario, which I told you about earlier, will happen once again. In a Mewtwo EX mirror match the player who starts attacking with Mewtwo EX first is usually in a bad position. There is no way around it, big HP Basic decks (especially Six Corners) are bad match-ups for this deck. I expect Zekrom/Eelektrik NVI/Mewtwo EX to do very well in the upcoming tournaments. It has been the number 1 deck in Japan since Next Destinies was released and it’s still going strong. 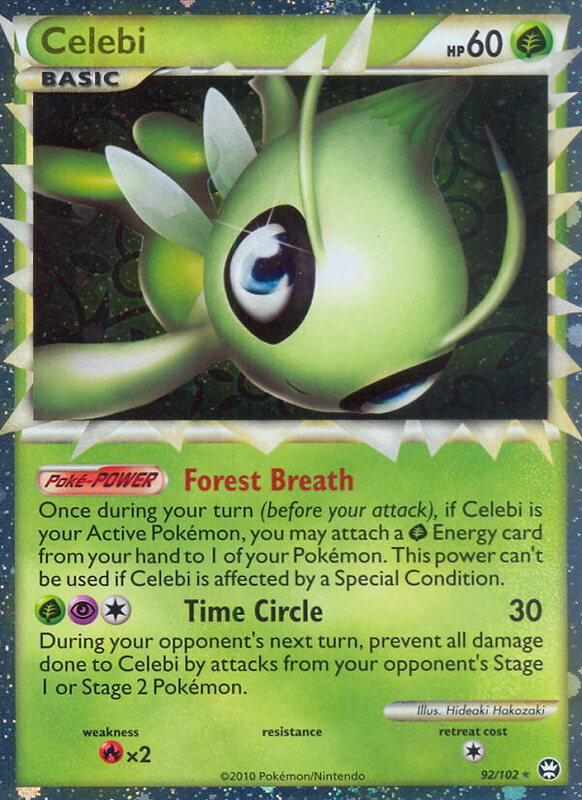 Even though it isn’t as fast deck as the Celebi Prime variant, when it comes to energy acceleration, the type advantage is too much to handle. They can win Celebi/Tornadus/Mewtwo EX by manually attaching energy turn by turn. If you attack a Zekrom, they will Outrage OHKO your Tornadus or Celebi. If you go attacking with Mewtwo EX… Well, you know what will happen. There is no real way out of this problem with this deck, once again an incredibly difficult match-up. Yeah, I’m talking about Durant. Lost Remover, Crushing Hammers and Ns. Everything my deck is most afraid of. 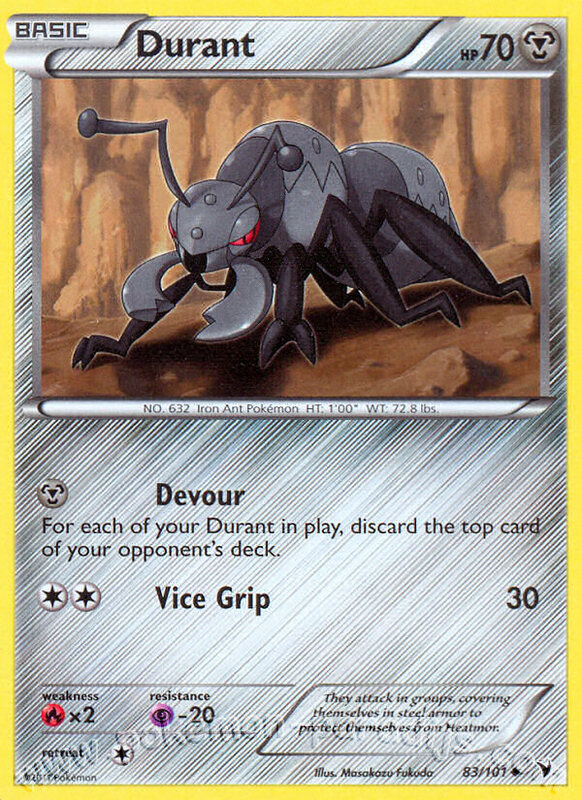 Durant will crush this deck in every single game as long as he/she doesn’t have 2 Durants prized. Even then the game would be pretty even. 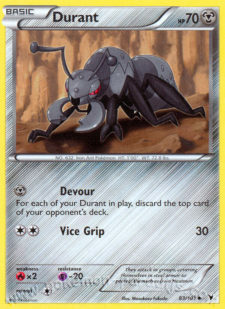 Durant also has Resistance to Mewtwo EX, which makes it a very strong opponent for Mewtwo EX. I’ll make the metagame predictions later on, but for now I can say that I can’t go to a tournament with a deck that autoloses to Durant. It seemed like this deck had even more problems than the Basic variant. What should I do? Well, the answer came to me pretty quickly. The main problem with the previous versions was big HP Pokémon and Zekrom. I knew that Zekrom would be easily countered by a Fighting type Pokémon, and Terrakion NVI was the first one I thought of. Terrakion is a versatile attacker that works well against any Pokémon in the whole format. Terrakion needed only 1 Fighting Energy in order to hit 90 damage, and with the right kind of deck building I could take advantage out of its second attack as well. I tested a lot with this deck against the most important decks and this is what my current tournament deck looks like. It’s very far away from the original idea since this deck doesn’t hit T1 in every game, but this deck is a lot more versatile and takes care of the problems that the previous versions had. I had found the perfect balance. I’m especially satisfied with the Pokémon and Trainer numbers in this deck – they’re almost perfect. Running 4 Celebis is a must because I want to open with it in every single game. The other Pokémon I want to open with is Tornadus. 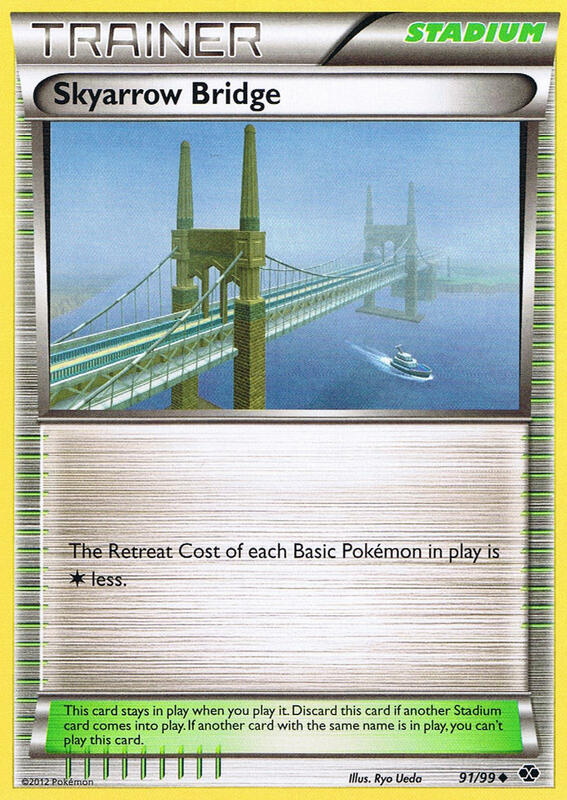 Pokemon ParadijsThat’s because with Skyarrow Bridge, both Tornadus’ and Celebi’s retreat cost is 0. If you open with Mewtwo EX or Terrakion you need a Switch in your opening hand to get the game started. That’s also the reason why I run 3 Tornadus but only 2 copies of Terrakion and Mewtwo EX. As I said, this deck isn’t always as fast as the other two lists but the versatility of this deck is what makes it so good. Also, there are opening hands when you are able to get a T1 Tornadus going and that isn’t even too difficult. This deck can get a very fast start, but it doesn’t necessarily need it to win games. Continuing on to the Trainers, there is Revive, which is a perfect fit for this deck. The deck has 4 different Basic Pokémon and you need different amounts of them in each match-up. First and foremost, Revive’s job is to give you a 3rd Mewtwo EX because if your opponent decides to EX-race with you, you need the 3rd Mewtwo to win the game. Second, there is PlusPower. With PlusPower and Revenge, you’re able to OHKO an Eviolited Zekrom EX. With two energies on Mewtwo and a PlusPower you are able to OHKO a Mewtwo EX that has 2 energies attached to it. 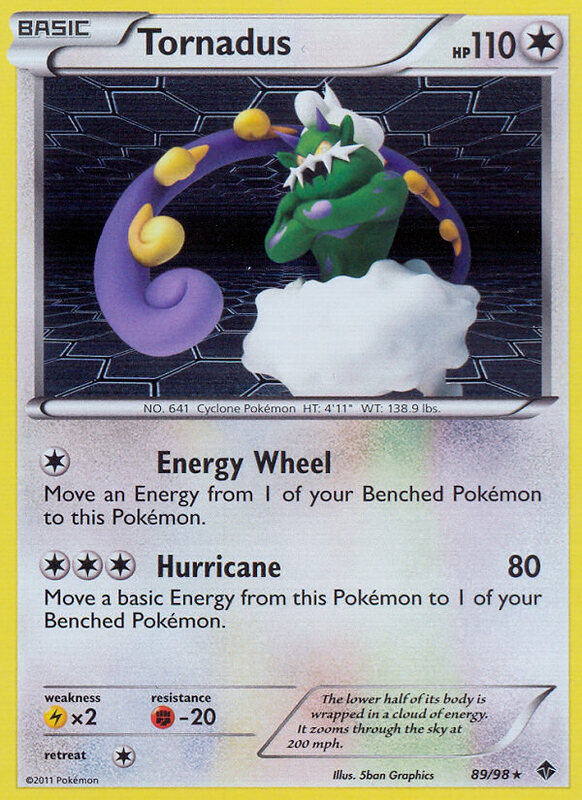 Also, a Hurricane with a PlusPower OHKOs Eelektrik, which is a very big deal when playing against Zekrom/Eelektrik/Mewtwo. PlusPower is never unnecessary because, thanks to the extra damage, it can win you any game. 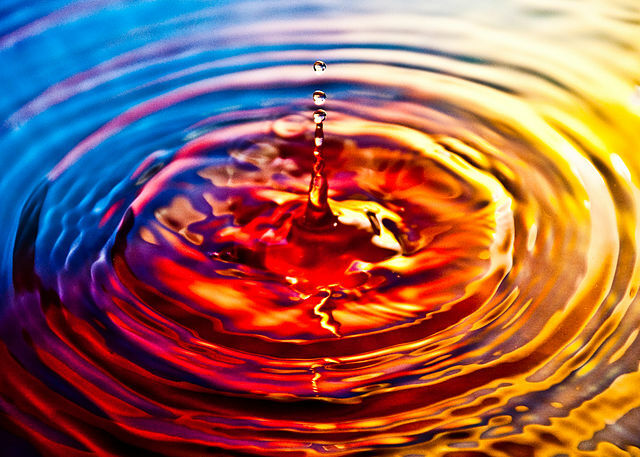 Third, there is Energy Retrieval. When I was building the final list, I remembered that I wanted to test Energy Retrieval in the earlier versions of the deck. However, it seemed that ER would fit this deck even better because there are two different types of Basic Energy in the deck. I wasn’t wrong – ER is just sick in this deck. When you have an ER in your discard pile, all you need in order to load a Revenge Terrakion is a Junk Arm and Celebi as an active Pokémon. This deck has just enough energy to work properly but thanks to Energy Retrieval it actually has more than enough energy. Not to mention that ER works very well against Durant and other decks that may use Crushing Hammers for disruption. Version 3.0 is able to get rid of the few problems that the quicker versions had but it still has some problems. Pokemon ParadijsI still haven’t found a decent solution to this problem. Thankfully, I can play Skyarrow Bridge so that dragging Celebis to the front won’t cost me the whole game. Your best bet in this matchup is to use Terrakion as the main attacker to kill your opponent’s Durants, but there are 2 main problems with this strategy. First, this deck runs only 3 Fighting Energy and even if they aren’t devoured; Crushing Hammers give me a hard time. The more they devour my Fighting Energy, the better since I always have an Energy Retrieval in my deck. However, if they keep flipping heads from Crushing Hammers and sending Eviolite/Special Metal Energy Durants as the attacking Durant, I’ll eventually run out of resources. Well, this deck is almost nonexistent at the moment, but we’ll see if it will make a comeback with Mewtwo EX around. Reshiram is a great card against Mewtwo EX because it inflicts a lot of damage and has only one energy attached to it after the attack. On top of that, there are two other big problems when playing against ReshiPhlosion. First, my deck is not able to OHKO the main Pokémon in the deck since Typhlosion Prime has whopping 140 HP and Reshiram 130 HP. At the same time, ReshiPlosion will be OHKOing my attackers. Celebi’s weakness to Fire is also a problem. Reshiram can easily Outrage OHKO Celebis even if it has only 10 damage on it. When playing against ReshiPlosion, you must be very careful when it comes to playing Celebis on the bench – they are just free prizes for your opponent. The best bet in this match-up is to just simply outspeed them and when you’re in a two-prize-lead, force them into an EX race with your Mewtwo EX. Predicting the metagame correctly plays a huge part when deciding a deck for a tournament, and the ECC is no exception. Predicting the metagame of the bigger tournaments (and especially international tournaments) is tougher than predicting the metagame of your local tournament, but is isn’t impossible. I’ve been researching the European metagame and this is what I’m predicting to see a lot of in ECC. I think that the U.S. players can benefit from these predictions as well because the same decks will do well in both Europe and in the U.S.
Pokemon ParadijsThis is a deck that I mentioned in my Eye on Japan: Part 2 article. 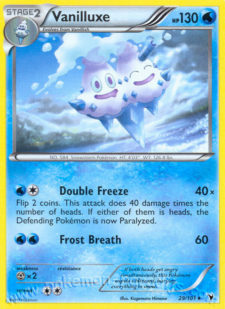 It uses the same strategy as Vanilluxe: Paralyzing your opponent under Trainer lock thus making them unable to attack. I think this has gotten a little bit of hype in Europe and in the Internet community. 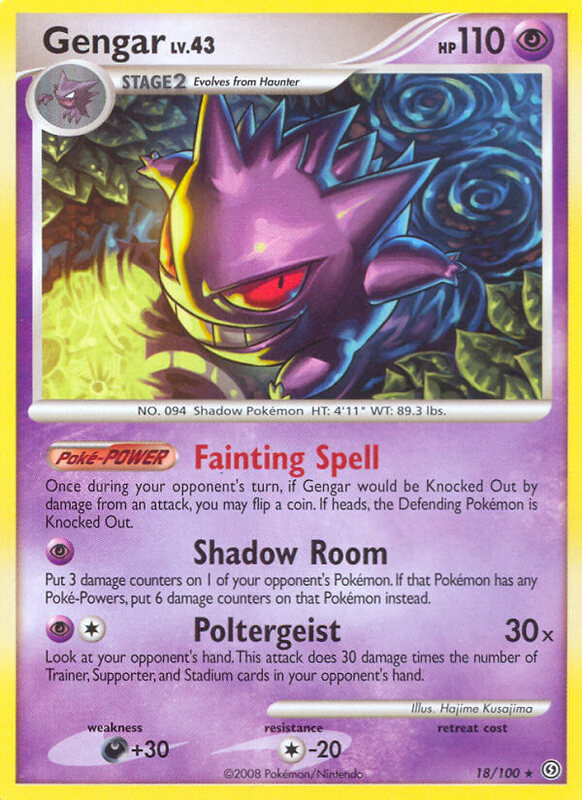 The reason why Paralyzing is a bigger deal in this format than in the previous one is that when you paralyze a Pokémon EX, you are able to get ahead in prizes instantly. You Paralyze your opponent with a non-EX Pokémon so even if your opponent is able to OHKO your paralyzer after you have slowly killed the EX you paralyzed, you’re still ahead in prizes. If you’re wondering how to build this deck, I’ll show you a list of this later on in this article. As we all know, Heat-“The Durant Killer”-mor wasn’t released in Next Destinies so Durant will keep on devouring. In fact, Durant has become stronger because of Mewtwo EX. Mewtwo EX has a difficult time OHKOing Durants because its number one source of energy is DCE, which is a Special Energy card. 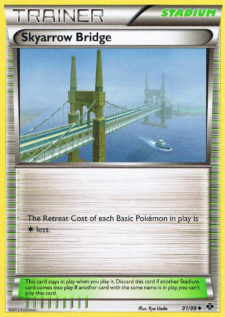 Also, Prism energy was printed in Nest Destinies so Durant has even more things to Lost Remover. There isn’t a real counter against Durant in the current format and most decks will only hurt themselves when trying to fit in a proper counter against Durant. Not to mention that Durant is a cheap and easy-to-play deck so even in the hands of a mediocre player it can be very deadly. There will be a lot of these bugs bugging you, so be prepared. 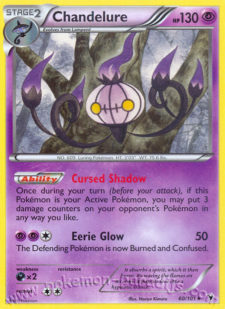 I don’t see Chandelure disappearing under any other circumstances than if Durant covers 50% of the metagame. Chandelure has great matchups all around the field and even though EX-Pokémon like Reshiram EX and Zekrom EX are able to OHKO it, the offensive version of Chandelure still stands strong in the format. Pokemon ParadijsOne shouldn’t forget that Chandelure is still a Psychic type Pokémon and when it gets to attack Mewtwo EX, Mewtwo EX is killed very quickly. The Cobalion tech in Chandelure will also be a very good option against most of the metagame decks because it’s good against Mewtwo EX and any random energy accelerating decks. I don’t how popular this deck will be but I expect this deck to do very well regardless. The deck requires mad skills to build and play correctly, but whoever is able to do that will have great success in the format. Six Corners eats any Mewtwo EX variant for breakfast but it has the same Durant-fobia that many other decks have as well. Six Corners is a real tier 1 deck in this format, but its difficulty level puts it in the lower tier; there aren’t enough players who are willing to spend tens of hours fixing and developing their Six Corners because there are easier ways to do well in tournaments. This deck and its versions are pretty much the main topic of this article so I’ll keep this short. There will be a lot of these. They are fast, easy to play and destructive. These decks punish your opponent for bad starts immediately and they are also very consistent. Everyone should have a playset of Celebi Primes because they are cheap and versatile in the new metagame. Expect to see a lot of these in every upcoming tournament no matter where you live. This is one of the decks that will see a complete makeover now that Next Destinies has been released. The old version of this deck focused on spreading with Kyurem and using tech attackers like Cobalion, Terrakion or Landorus NVI. However, since Mewtwo EX will be big in the upcoming format, hitting 30 damage (10 if they have an Eviolite) won’t win you any games. Many people have had decent success with this deck and that’s why I believe it will be played in ECC and States. Pokemon ParadijsElectrode Prime focused decks have to find a new way of working in the EX-era. I’ll predict that the original Japanese version of this deck (which focused on Cobalion) can be very good in this format because Cobalion is great against many things (e.g. Mewtwo EX). This is a very interesting deck because it’s one of the only ones that can stand a chance against Mewtwo EX without playing Mewtwo EX. I think the deck Dakota introduced in his latest article was a very interesting version of Electrode Prime and we’ll see if EX based Electrode decks will really work. No matter how this deck will be built in the new format, one thing is for sure – it can’t stay the same. This deck was the other possibility for my ECC deck. Eelektrik/Zekrom never got the respect it deserved in the U.S. metagame in the CC season, but I’ll expect it to become a tier 1 deck thanks to EXs. It’s pretty fast, very consistent and the only expensive part of the deck is the EXs. This deck can easily fit in some of the Mewtwo EX techs I’ll discuss later on in this article, so you don’t even have to have a Mewtwo EX in order to do well with this deck. This is one of my favorite decks at the moment and I’ll surely write more about this deck in my next UG article prior to the U.S. States to give you a very in-depth analysis on how it works best. As long as you have a Mewtwo EX, you can build anything around it or put a Mewtwo EX in anything. I’m expecting anyone who owns Mewtwo EX’s to play it in ECC, and there will probably be variations I can’t even imagine. There will be a lot of decks that can be considered rogue in ECC and there will be a lot to analyze for the U.S. players as well. he metagame will be so versatile that any deck can win the tournament when it’s having a good day. Mewtwo EX will have unlimited possibilities and that’s why it will be the card to win ECC and probably also States. If your deck doesn’t have a way to handle Mewtwo EX, don’t expect good results from the tournament. You must be prepared for it in some way and the question is how. I’ll discuss that later on in this article. What’s there for the U.S. players to learn in ECC, its metagame and its final results? At the moment the format is so versatile that it’s all about Rock-Paper-Scissors. This deck beats that deck and that deck beats this deck. If there are a lot of Durants, it’s only natural that a ReshiPhlosion variant will do well, but that doesn’t necessarily mean that ReshiPhlosion is the best deck in the format if it happens to only bump into Durants from Top 32 on. ECC works as a testing ground for the U.S. players. The situation in this year’s States won’t be the same as in last year’s Nationals because the U.S. Nats were the very first tournament played in the HGSS-on format. The metagame was a mess and no one knew what to expect. When I followed the discussion on the Internet and looked at the results of the U.S. Nationals, I understood that there is no reason to hype anything beforehand. The metagame nowhere near what people had predicted it to be. However, as I said, thanks to ECC, the situation isn’t the same this time. The U.S. players aren’t usually that interested in what happens in Europe, but ECC is something every competitive American player should keep an eye on. There will be new decks and a possibility to see how the tournament games work in the EX format etc. There is a lot to learn and even if you aren’t usually interested in European tournaments, I suggest you at least check out the final results and standings of the tournament because it will definitely define the U.S. metagame as well. I don’t know if there will be a live-coverage from ECC but I’ll try to do something via my Twitter/FB/Blog if I am able to get online. If you are interested in up-to-date information about the tournament, be sure to check them out or check if Pokégym has anything about ECC. Mewtwo EX will be the most played Pokémon EX in the format and if you are able to OHKO it at any point of the game, you will have the advantage. The only real way to OHKO Mewtwo EX is to attack its weakness, which is Psychic. It’s a common fact that Mewtwo EX is its own worst enemy, but it has many other enemies in the format as well. Countering Mewtwo EX is also important because not everyone has the means to get Mewtwo EXs due to its high price. These techs come in handy especially for those players and also now that the set is still new and people just don’t have Mewtwo EX’s yet. This is the situation for some players in ECC because it’ll be held very soon after the release of Next Destinies. There are also decks where Mewtwo EX isn’t all that easy to tech in. There are lots of tech options and I’ll show an example list for each one. Mew Prime is the easiest way to counter Mewtwo EX. Almost any normal attacker you use with Mew Prime OHKOs Mewtwo EX. There are cards like Jumpluff HS, Zoroark BLW, Cinccino BLW, Victini NVI 15, or even Mewtwo EX that you can See Off and start OHKOing your opponent’s Mewtwo EXs. With the help of Prism Energy, you can use almost anything with Mew Prime. You can build an aggro Mew Prime based deck that is ready to take prizes from T2 on, or you can build a Trainer lock variant of Mew Prime that focuses on Special Conditions. Here is an example of the previously mentioned Lilligant deck that has Mew Prime and focuses on abusing Special Conditions + Trainer locks. 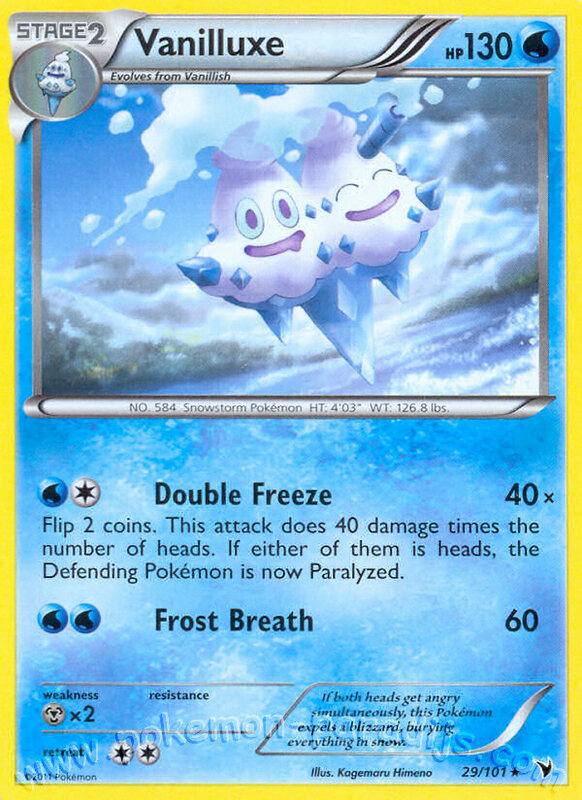 The main idea of this deck is similar to that of a Vanilluxe deck. Paralyze your opponent (in this deck with Mew Prime using Lilligant’s or Vanilluxe’s attack) and then use Unfezant’s attack to keep Mew alive while you kill the Pokémon you have Paralyzed. Trainer lock is a very essential part of this deck so Switches and Catchers don’t work for your opponent. This deck benefits from Next Destinies a lot because Mew Prime abuses Prism Energy very well. This deck is able to See Off T1 in almost every game, but even if it doesn’t, it still won’t lose right away. I added Victini (V-Create) in case there are lots of Durants and I think this deck has a pretty solid match-up against Durant. However, Mew Prime is the best counter against Mewtwo EX and if your opponent is playing Mewtwo EX, he/she doesn’t want to use it against you because a Mewtwo means two free prizes for you. Here is a basic ReshiPhlosion build with a Weezing tech. As you can see there are three things that differ from the original list: Weezing, Defender and Pokémon Center. 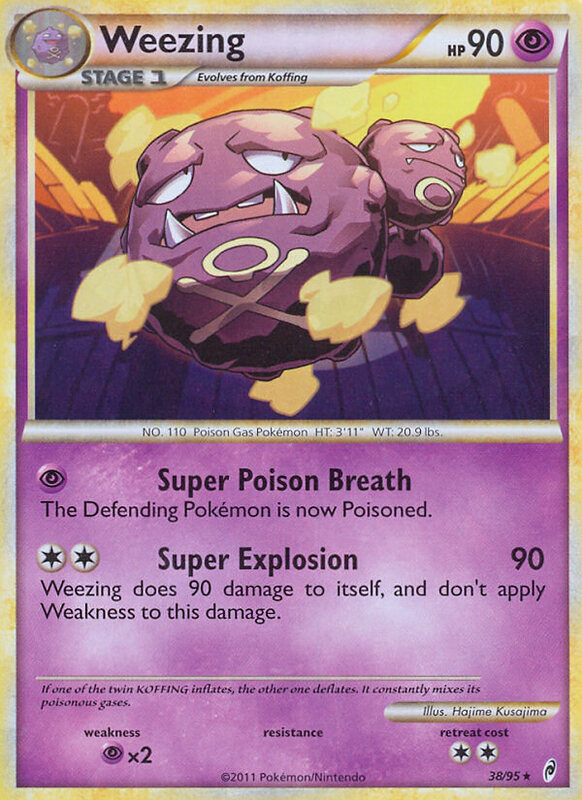 I think ReshiPhlosion is a good example of an energy acceleration deck in which Weezing works very well. When you play both of your Koffings on the bench, your opponent is able to only Catcher one of them. Next turn, you attach energy either with Afterburner or from hand to a Koffing. Then you evolve, use Defender and blow up your opponent’s Mewtwo EX – and your Weezing still lives. Pokémon Center comes to the picture if you have to use two Afterburners on Weezing and you must keep it alive. You need Defender to keep Weezing from killing itself because you don’t want to give away a free prize for your opponent. 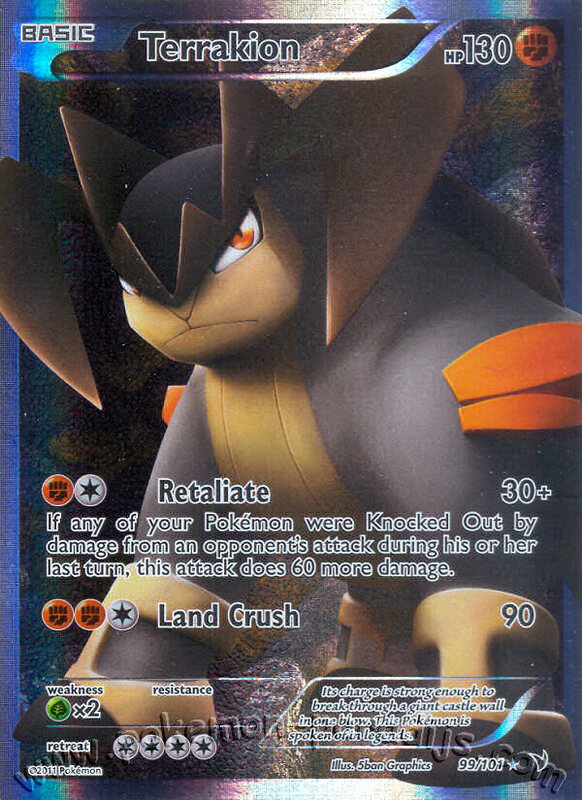 Pokémon Center is also a great card in ReshiPhlosion at any point, as is Defender. This deck is so cheap and yet so competitive. 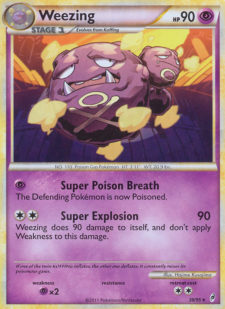 This also shows how well Weezing can be teched into any energy accelerating deck. All you need is an energy accelerator and Defenders in your deck and you are ready to use Weezing properly as a Mewtwo EX counter. I miss the times when there was Scrambled Eggs and I could flip 15 coins per attack and hit for 400 damage. Exeggutor and Darmanitan aren’t able to flip that many flips, but they are still able to do enough damage for Mewtwo EX to be OHKO’d. That is, once again, thanks to Mewtwo EX’s weakness to Psychic. Exegguttor and Darmanitan are both flippy and require a lot of energy to be good techs against Mewtwo EX. That’s why they only work in decks that have an energy accelerator like Celebi Prime, Eelektrik, Emboar or Typhlosion Prime. They might be able to OHKO not only Mewtwo EX, but also any other EXs you come across. However, if you decide to go with these techs, I suggest you to tech a Fliptini in your deck as well. Flipping all tails can cost you the game. I would have loved to show you a straight Darmanitan list, but since it can’t be as competitive as Zekrom/Eelektrik, I decided to go with this list. This deck has it all: consistency, firepower and a Mewtwo EX tech that works very well as a secondary attacker. Pokemon ParadijsAs I said earlier, I’ll talk about this deck in my next article (hopefully before States), but here is a great example list of this deck with Darmanitan as a Mewtwo EX tech. The real version can easily play Mewtwo EX in it but Darmanitan is also a great option. All you need in order to run Darmanitan is an energy accelerator – type doesn’t matter. Also, Fliptini is a great addition because thanks to Fliptini sometimes you may also be able to kill tanks other than Mewtwo EX. Darmanitan’s damage output is easily 200 if you flip enough heads. Darmanitan is a great secondary attacker in any deck and I would love to see it played more as a Mewtwo EX tech. This is probably the most obvious tech against Mewtwo EX. Xatu is a Psychic type Pokémon, which hits 20 for each energy on the opponent’s defending Pokémon. Xatu is a straight counter against Mewtwo EX – it is cheap to use and doesn’t require anything else than 1 Psychic for its attack. That’s a perfect tech, right? Actually, Xatu is one of the worst Mewtwo EX techs in my opinion. The reason for this is that it’s a Mewtwo EX counter, nothing else. There is no versatility in its use and it’s a dead card against almost any other attacker. Techs should also be able to work as secondary attackers in tough situations. Xatu isn’t able to do that. My favorite card of the whole format and a pure Mewtwo EX killer. RDL is a Psychic/Colorless type Pokémon so it hits 300 damage to Mewtwo EX. This is the funny part: it takes a total of 3 prizes by OHKOing a Mewtwo EX. That’s half of the prizes you need to win the game! RDL’s only downside is that it doesn’t fit in every deck. In fact, it is difficult to tech it in any deck. However, thanks to RDL, decks like Emboar and Typhlosion might rise from the ashes to challenge the tier 1 decks. If you are able to get RDL working properly in any deck, you’re very close to winning the game even before the game has started. Pokemon ParadijsIf you want an easy, fast and cheap to use Mewtwo EX counter, Victini is your guy. Victini hits 240 damage to Mewtwo EX for only 1 Psychic Energy, but you need to flip double heads in order to do that. 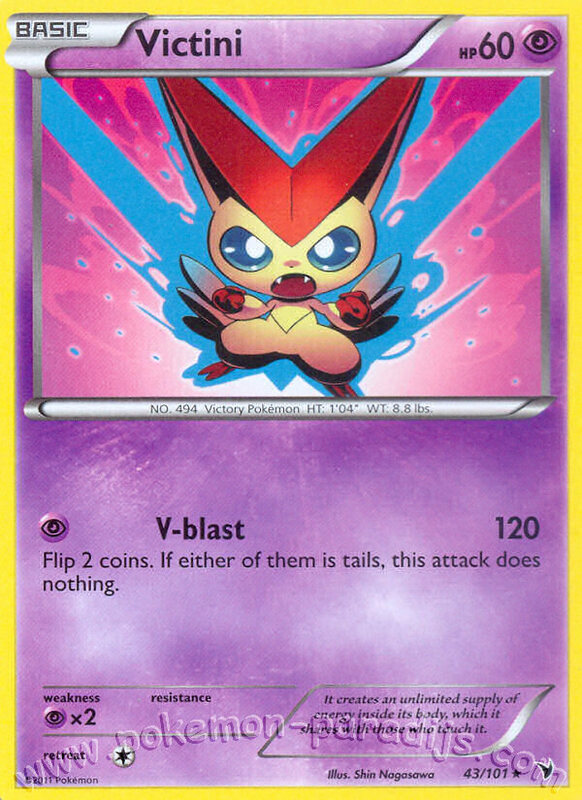 Of course you need the Fliptini tech in any deck you want to tech V-Blast Victini in. If you are able to OHKO Mewtwo EX with your first V-Blast, you’ve used almost no resources for getting two prizes and will surely be ahead in the game. The question is, do you have the courage it takes to enter the tournament with an inconsistent tech like this? I don’t. When you can’t beat them, join them. It’s as simple as that. As mentioned too many times already, Mewtwo EX is its own worst enemy. If both players used only Mewtwo EXs as their main attackers, the game would last for only three to four turns. Thankfully this isn’t the case. Mewtwo EX can be teched in any deck that has energy acceleration or plays DCEs, and it works not only as a Mewtwo EX counter but also as a great secondary attacker that will win you games. 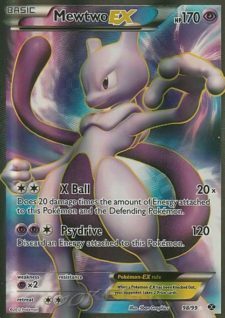 Mewtwo EX is the one card you probably don’t want to miss in any of your decks (unless you’re playing Durant). Well, if Mewtwo EX is so good that everyone has to either tech against it or play it, it should have a way around all of the techs I mentioned, right? The truth is that it doesn’t have a direct answer to all the techs. One could consider Leavanny EPO, which takes the Psychic Weakness away from Mewtwo EX. That’s the best you can do because all the techs against Mewtwo EX rely on attacking its Weakness. However, the difficult part is to fit Leavanny in your deck. It’s a Stage 2 Pokémon so it’s a very difficult card to get to play in this metagame, and in Trainer lock decks like Ross.dec, it would be the 3rd Stage 2 Pokémon you would have to get in play. That’s pretty difficult to set up even for a deck like that. Pokemon ParadijsThe other tactic to counter Mewtwo EX is Paralyzing. It works against any EXs. To this problem, the format has a solution. It’s as simple as a single Unown CURE. 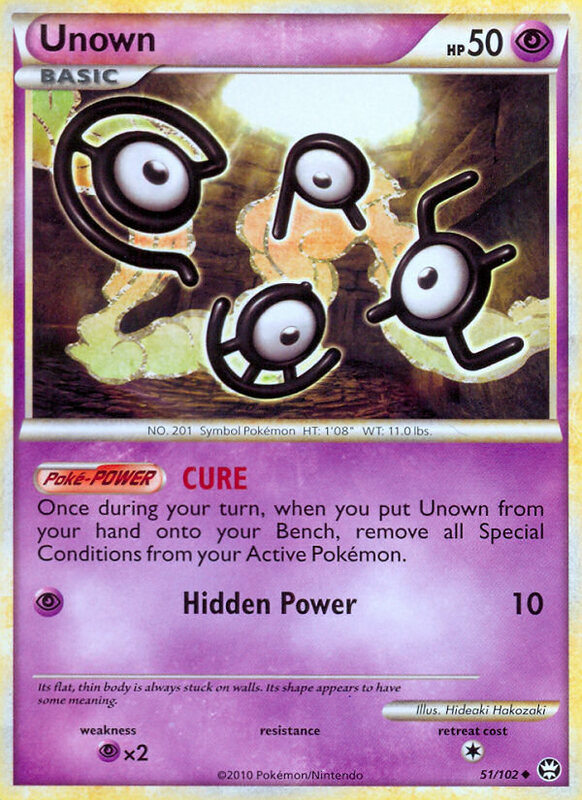 Unown CURE heals all Special Conditions from your active Pokémon once you play it on your bench and your opponent never expects it. If your deck plays Seeker, you can even do it twice, which is usually enough for you to win the game. The Special Condition abusing Trainer lock decks are all about game control. However, even a small disturbance such as an Unown CURE tech, will probably ruin their whole game plan. 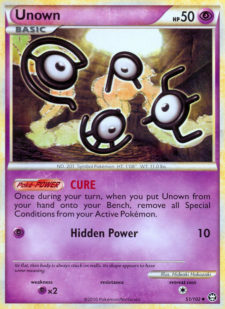 If you’re facing a metagame full of Special Condition decks, Unown CURE is your best friend. A Mewtwo EX player shouldn’t be discouraged by the fact that Mewtwo EX is easily countered. The most important thing to keep in mind while building a deck, which has Mewtwo EX in it, is that you can’t become fully reliant on Mewtwo EX. 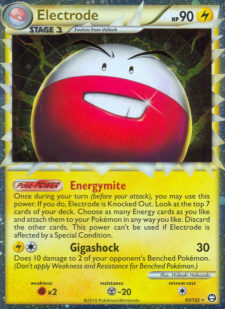 The best-case scenario would be that you have two main attackers in your deck – Mewtwo EX and something else. That way you can play almost the whole game without Mewtwo EX and use it only in late game in the situations where it doesn’t matter if they get 2 prizes or when you are certain that they don’t have anything to OHKO Mewtwo EX with anymore. 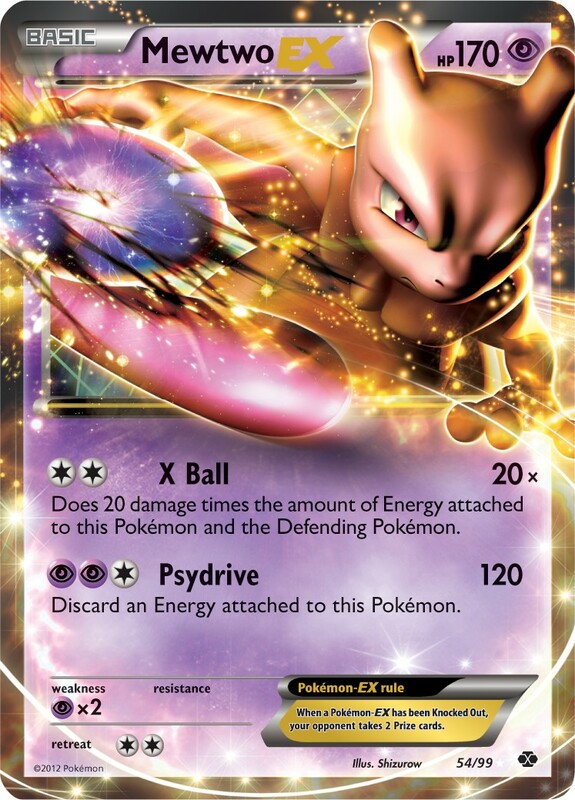 Mewtwo EX should be the supporting force of your deck – not the only source of power. 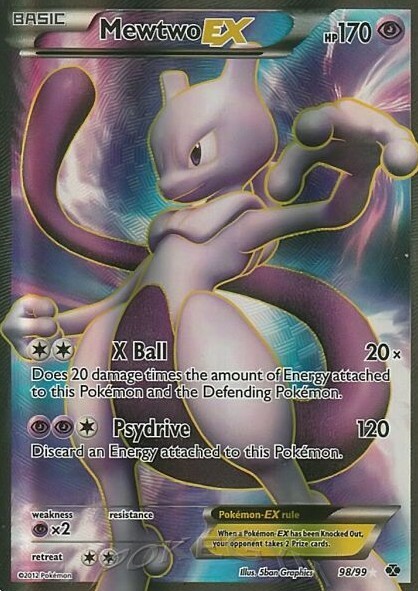 Mewtwo EX is no doubt one of the best cards ever printed but its weaknesses are very easy to find and counter. That’s why it isn’t overpowered. All you need to do is use a bit of imagination when thinking how to play Mewtwo EX and against Mewtwo EX and you find yourself winning games. I hope this article helped you to understand the development process of my tournament deck and you got a little bit of insight on different Celebi Prime variants. I also hope that you became interested in ECC as an event and that you’ll follow it in at least some way through my Twitter/FB/blog or some other channel. Finding the correct way to counter Mewtwo EX in your deck is a difficult task but reading this article helps you to decide which tech to run. Countering Mewtwo EX is the most important thing to do in this format and that’s why you should always have a way to counter Mewtwo EX in your deck. The new metagame of ECC and the U.S. States will be very exciting and I’m looking forward to playing in ECC to see what kind of decks have been invented thanks to the new set. The new metagame will be interesting, versatile and different compared to any of the previous seasons. If you enjoyed the article and would like to see more of my articles in the Underground, be sure to press the “Like” button! 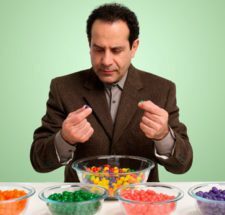 Feel free to leave any comments and questions about the article in the UG forums as well; I’ll be answering each and every one of them.